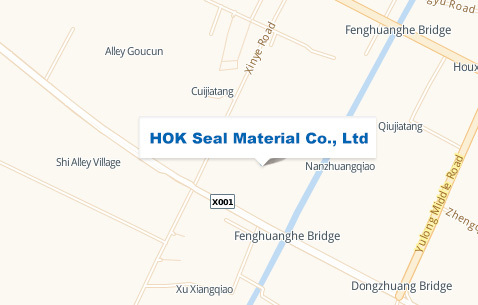 Changzhou HOK Seal Material Co., Ltd is established in March 2009 which is a high-tech enterprise specialized in design, RD, production and sales of composite sealing systems. Currently our company has more than 300 employees, among which technicians and RD account for some 20% of the total number of the employees. Our company is equipped with independent RD center, Mold Machining Center, Research Test center and three big production bases. Our company has already passed the ISO/TS 16949:2009 quality management system certification and ISO 140001 environmental management system certification contentiously. Persisting in innovation, improvement and quality, our company has always adhered to the tenet of gratitude to customers and growing together, strictness in process control and emphasis on the continuous improvement. Our company will satisfy and reward our customers with superior quality products and high efficiency service.